She was famous, yet down to earth. She was a beloved figure who earned the gratitude of millions of people. Her mission was to shine light where there was darkness and to educate her readers along the way. And her work caused many people to realize that common sense ain’t so common. In a way, she was America’s mother. Dear Mrs. Landers: I’ve always regarded most marital mix-ups as very humorous—until now, that is, when the noose is tightening around my own neck. We have been married 10 years and have two sons. I like auto racing, but my wife has no interest in it, so I’ve always gone without her. I’ve fallen for a woman with three children who is also very fond of auto racing. Her husband is ignorant and impossible. This may sound corny, but I think she would be a wonderful companion for me. I suppose you think I’m a louse—but I am stumped. I would like to have your advice on this problem. Dear Mr. K: Time wounds all heels—and you’ll get yours. Do you realize that there are five children involved in your little racetrack romance? Don’t be surprised if you wake up one of these days and wish you had your wife and sons back. You are flirting with a muddy track on Black Friday, and the way you’re headed, you will get exactly what you deserve. Note: It is interesting that in her first letter of her first column she has either coined a phrase, or used one she’d heard and made it popular: “Time wounds all heels.” “Wake up and smell the coffee” was another expression of hers that is still used today – and associated with her. I would think, were she writing today, the advice would be the same. It holds up. Had this been a letter from 2017, she probably would’ve added something about married couples having different interests is not a deal breaker and, in fact, is often healthy. Dear Mrs. Landers: I have just graduated from grade school, and the boy I like is in the Army. He has written that he will be home on leave soon, but my mother forbids me to see him. I tried to explain that we just want to see a movie and will be home early. Mother says I can’t go and that I am too young to know what I am doing. Please help me. Dear EV: If you “just graduated from grade school,” you are about 13 years old, Chicken. Uncle Sam needs men—you don’t. Listen to your mother; she is right. And about that boyfriend—his brains must be AWOL. Note: Her style and directness are evident right out of the gate. I love, “Uncle Sam needs men – you don’t.” She didn’t mince words so people would feel good. It was classic Ann Landers to be straightforward so there was no wiggle room in the advice she was giving. Without ever belittling someone, she was straight-shooter. Dear Mrs. Landers: I’ve been married four years, have two children and am expecting a third soon. My husband has been chasing around town with women for the past seven months. When I told him that I was getting a separation, he promised to change his ways and behave himself. I have no money for attorneys’ fees, and I cannot work. Shall I try to borrow the money from relatives, or should I wait and see what happens? Dear T.W. : You have every right to blow a gasket. This character does not deserve a family—as of now. But since he has promised to mend his ways, give him another chance. Try to persuade him to go with you to a marriage counselor. See if, together, you can’t find out what’s gone wrong with your marriage. Let him know, too, if there is any more extramarital activity, you’re giving him the heave-ho. Note: Had this letter been answerd later in her career, she might have believed, from experience, that a man predisposed to cheating is usually unlikely to change. And his catting around during her pregnancy adds an element of sleaze. The “last chance,” however, is a supportable position; certainly one that would allow the woman to feel she’d given the lout every chance to shape up and show thaty he valued his family. Dear Mrs. Landers: Two months ago, I met a man who seems very fond of me. He has two jobs, which is the reason he has never called me up on the phone or taken me out. He is very busy. He says he cares for me a great deal, but I see him only once a day when he delivers food at my home. I don’t want to rush him into anything. What do you think? Dear S.R. : What this man is delivering to your home sounds like baloney. I have a sneaking suspicion that your back-door Romeo has a wife and a family, plus several other very good “customers.” You’d better forget about him and suggest that he leave whatever it is that he is delivering in a convenient place. He ought to stick to his commission as the “bonus” for his sales. 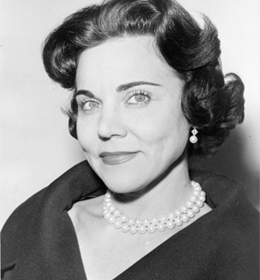 Note: This letter, written at the very beginning of her career stands up today as a classic Ann Landers aswer. She pulls no punches, tells the women what she doesn’t want to hear (but is obvious), and it has a modern feel. It is also funny, as she understood that humor can be very valuable to readers who did not have that particular problem but the humor would draw them in. One value of this was that people would write her, saying, “I used to read your column to see what the goofs had gotten themselves into, but on more than one occasion I have seen a problem of my own, and then put your answer into practice.” The universality of her advice made the column potentially valuable to everyone – if not now, then later. 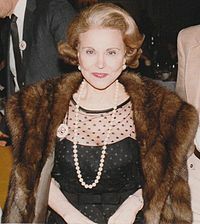 Dear Ann Landers: I am a girl of 14, and I like a certain boy and am sure he likes me, but when it comes time to meet, he gets scared and backs out. I am deeply troubled. —S.V. Dear S.V. : Don’t worry; he’s only a kid. Soon, now, he’ll become unscared, and you’ll have a chance to find out if you really like each other. Meanwhile, you can have a lot of good times with other youngsters— boys and girls! Note: It always surprised me that so many young people wrote to her. It was all quite strange for me because I never felt the need to ask anyone what to do or how to handle something – only realizing later that I lived with her, and when I wasn’t asking something, she was telling me anyway! Confidential: Miss E.B. : You are entitled to a life of your own. You have given more than your share to your mother and the rest of the family. Move out of that house before they drive you batty. The “confidentials” became a trademark of the column. They allowed her to get an answer to someone without printing the question, either for privacy or space considerations. People often told her they loved the Confidentials, probably because sometimes it was a guessing game.